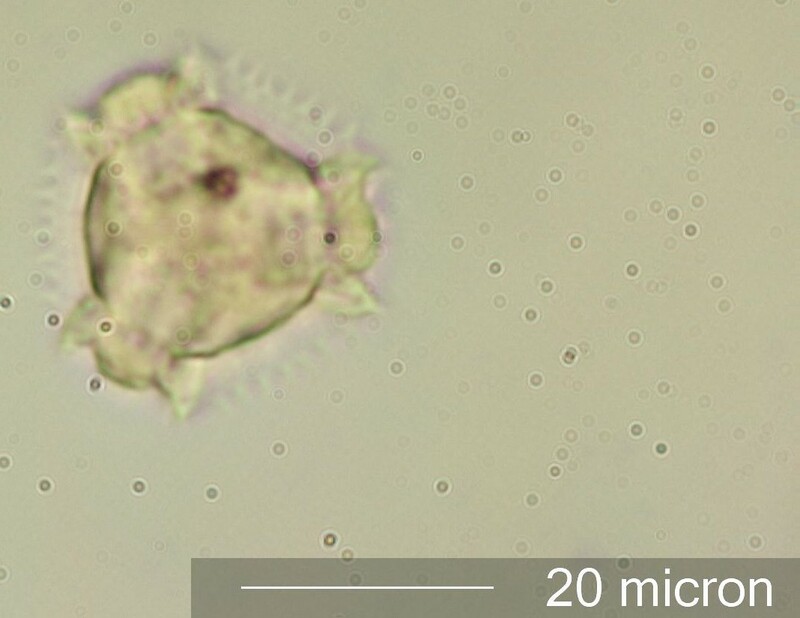 This pollen grain was recovered from honey sold as "Sweet Clover Honey". There was some sweet clover pollen but it was not the dominant pollen in this sample. This polar view is an optical section through the middle of the pollen grain.